January was a big month for ArtworkTool seeing its official release in the US & UK!! 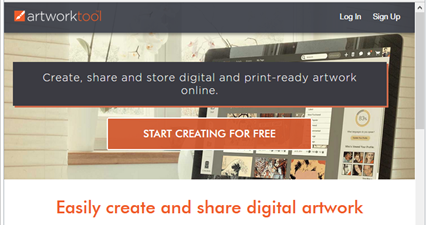 Artworktool.com allows anybody to create, share and store online and print-ready artwork. It has been designed to be a social platform that allows any individual to create a free online profile and share their portfolio of designs with the world! Artwork can be created for absolutely any purpose such as; social media images, website banners, printed stationary, greetings cards, promotional products, signs or simply overlaying text on a photo to share with a friend. For most people, the creation of Artwork for any one of the above purposes is daunting and requires software that costs money and requires knowledge of how to use it. Artworktool makes content creation much less daunting by providing a simple design experience that’s completely free! At the end of the design process users can showcase their Artwork in their online portfolio and download web-quality versions of their creations at no cost. There's also the added option to download a higher quality version of designs, for as little as $5.